The ibis Styles Guarujá hotel is located 219 yards (200 m) from the Enseada beachfront and 492 yards (450 m) from Avenida Dom Pedro I. In addition to low rates, the hotel boasts modern rooms featuring air conditioning, cable TV and free WIFI. 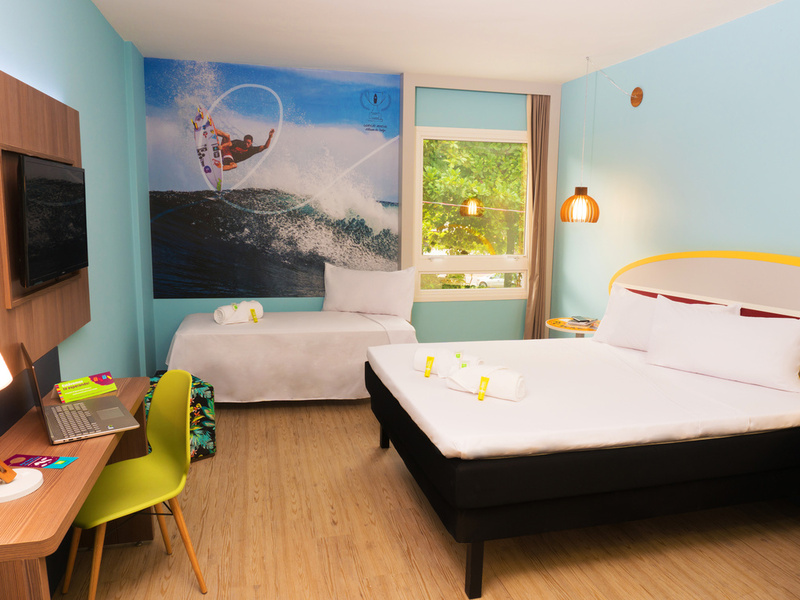 The hotel has a sustainable structure and surf-inspired décor, providing an authentic experience. It also serves a delicious buffet breakfast and accepts small pets. Take advantage of the best value deal for you and your family! Located in our lobby, the Bagus Bar boasts a welcoming and fun atmosphere. We serve snacks, appetizers and a range of drinks, with entertainment and leisure for the whole family. In Indonesian, Bagus means something fantastic.